According to the Capital Weather Gang, Today’s Daily Digit — a rating of the day’s weather in the DMV on a scale from 1 to 10 — was a 1. “Cruel cold slaps us in the face yet again,” they said. 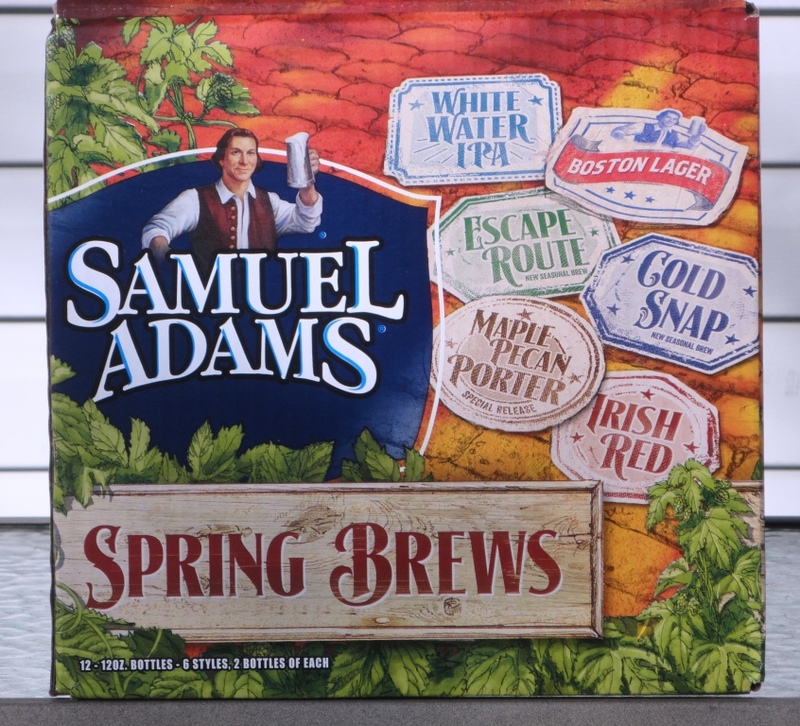 Sounds like a good day to break out the Samuel Adams Spring Brews! Appropriately enough, the star of this mixed 12-pack was Cold Snap, a complex interpretation of a traditional Belgian witbier style. Cold Snap is brewed with a signature spice blend that gives it a distinct and refreshing character. I liked this new brew so much that I bought a 12-pack of cans, and I’m planning to stock up on a few more 12-packs so I can take it to the pool this summer. On a day that the high temperature in the DMV was 20 degrees below the average high, drinking spring brew is a welcome sign – it means that spring is right around the corner!